Jennifer VanBenschoten has been very busy creating Hanukkah beading patterns like the one above. 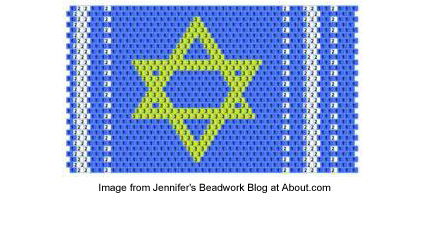 Jennifer shares three of her Hanukkah beading patterns at About.com: Beadwork. Wouldn’t these cuffs make wonderful Hanukkah gifts?